Tick poisoning requires urgent vet attention. Sydney’s North Shore and Northern Beaches are a tick haven, particularly during summer. At Northside Emergency Veterinary, treatment for tick poisoning is one of our key services. When your pet needs emergency treatment, contact our expert team. Tick poisoning, or tick paralysis, is a serious and potentially fatal condition requiring urgent veterinary attention. 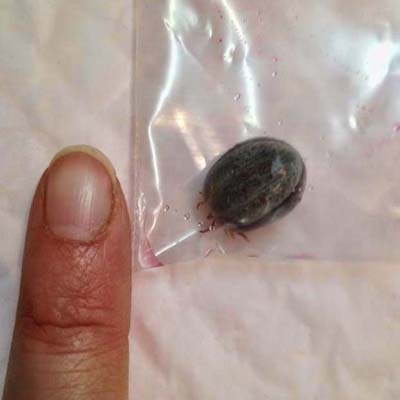 Ticks attach to dogs and cats (and people), secreting a paralysing toxin as they feed. Left untreated, tick paralysis almost always leads to respiratory or heart failure. During the warmer months, our emergency vet hospital treats up to 100 pets per week for tick poisoning and up to 40 cases over a single weekend. The weather patterns of the Northern suburbs of Sydney are ideal for ticks and vigilance is required with your pets to prevent tick poisoning. If you suspect your pet has tick poisoning, act immediately by calling our emergency veterinary clinic on (02) 9452 2933. Stay calm! This is the most important thing you can do for your pet, as tick affected animals cope poorly with stress or overheating. Contact us immediately and arrange to bring your pet in. Do not wait until the next morning. Remove any visible ticks with a tick hook (and search for more ticks if one is discovered) and try to keep your pet relaxed, quiet and cool. IMPORTANT: Do not offer your pet food or water. The toxins mean that your pet cannot protect their airway when they swallow and the food or water may run straight into their lungs. It is important to seek emergency care even if you remove the offending tick(s). The toxin typically continues to poison your dog or cat and timely treatment is still required. While each case is individual, our veterinarians will typically administer a tick antiserum designed to neutralise the toxin. We will then continue to monitor your pet. A hospital stay is always necessary after administering tick antiserum. Additional treatments may include intravenous fluids (if severely dehydrated), sedation (to keep your pet calm), oxygen, and checks for potential pneumonia. All animals are individuals and react differently to the stresses of tick toxin. Young, old and weaker pets are more vulnerable. After a couple of days in hospital, your pet typically goes home with instructions for limited stress and exercise and to keep cool for a further 2 to 3 weeks. Speak with your primary vet about tick prevention measures, tick clips and how to examine your dog or cat for ticks. Tick searching should be a daily activity, particularly in Sydney’s summer months. Your vet can tailor suitable tick prevention for your pet based on its breed, size, lifestyle and age. 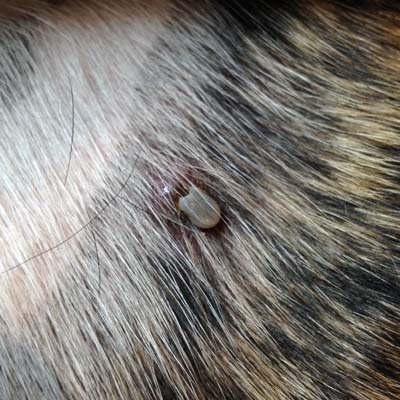 For more information about preventing and treating tick paralysis in your pet, call the Northside Emergency Veterinary Services team on (02) 9452 2933 or contact us online. Treating many thousands of emergencies every year, our veterinary clinic is known for its world’s best practice for tick paralysis treatment. With decades of experience, we are responsible for significant advancements in the treatment of tick paralysis, especially in the area of ventilation. Our 24-hour animal hospital is open 365 days a year to help your pet in the event of tick paralysis.